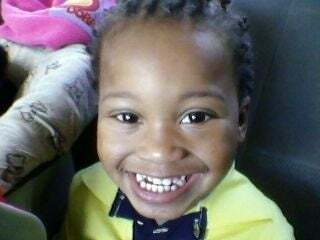 The Berkeley County coroner's office has received DNA confirmation that the child found in a trash can filled with cement last week is the body of 2-year-old Rodricus Williams. The coroner is still awaiting a toxicology report to see just how the child died. You may recall that Rodricus' father, Roger Williams, and his girlfriend Grace Nichole Trotman reported the child missing at a popular tourist attraction in Charleston, S.C. Authorities were later led to a trailer, where the boy's body was buried in 450 pounds of concrete. Both have admitted involvement in the crime. Reports have also surfaced that Rodricus was previously taken to the hospital for accidents that showed signs of abuse. This child didn't stand a chance with parents like this and people looking the other way.